How to know which cosmetic injectable is right for you. 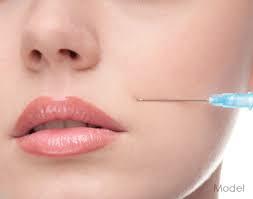 The world of cosmetic injectables can be a little daunting to say the least. Here at Rock Creek Wellness we like to try and make it easy for you by offering complimentary consultations when you arrive for your appointment so you can discuss your goals with our experienced staff of doctors and nurse injectors to dissolve any and all questions you may have. We also thought it would be helpful to break down the differences between injectables so you can understand the various purposes of them and make an informed decision regarding which one is right for you. Botox. Everyone from celebrities to your neighbor down the street has had experience with Botox. Botox is a prescription medicine that is injected into muscles and used to temporarily improve the look of both moderate to severe crow’s feet lines, forehead wrinkles, and frown lines between the eyebrows in adults. Botox targets one of the underlying causes of frown lines, wrinkles, and crow’s feet—the repeated muscle contractions from frowning and squinting over the years. Your provider will inject these muscles with Botox to temporarily reduce muscle activity. You will begin to notice a visible smoothing of your crow’s feet lines and frown lines between your brows. 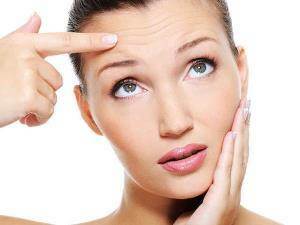 Results with Botox can be maintained with injections every 3-4 months. At Rock Creek Wellness we also offer Xeomin, the newer updated version of Botox, to patients who may have sensitivity to the extra protein in Botox. Hyaluronic Acid (HA). Hyaluronic Acid is a substance that is naturally present in the human body. It’s main job is to retain moisture, and it takes it’s work very seriously. This magic molecule can retain up to 6 times it’s moisture content, which is why when this gel is injected, it acts like an inflated cushion to support facial structures and tissues that may have lost volume or elasticity due to normal aging. It also brings water to the surface of skin to keep it looking fresh and supple (HA is often what is used for lip fillers for this very purpose). We have different options for Hyaluronic Acid fillers here at Rock Creek Wellness, all of which are in the Juvéderm family- Juvéderm Ultra, Juvéderm Ultra Plus and Juvéderm Voluma. The main difference in these products is their intended use and particle size. In essence, Juvéderm Ultra and Juvéderm Plus are both in the same family of all natural hyaluronic acid fillers and are used to treat wrinkles of the face. Juvéderm Ultra is a smaller particle size and is used to treat mild to moderate lines and wrinkles whereas Juvéderm Plus is a larger particle size and is used to treat deeper folds and wrinkles. Juvéderm Voluma is the first FDA-approved injectable gel to instantly add volume to your cheek area to correct age-related volume loss in adults over the age of 21. It can provide you contour and a subtle lift for up to two years with optimal treatment. At your consultation, your nurse injector can determine which will be best for your unique treatment plan. Bellafill (Collagen). Bellafill is a unique, injectable collagen filler with PMMA microspheres that can instantly smooth facial wrinkles (nasolabial folds) for beautiful, natural-looking correction that lasts. The collagen immediately adds volume to the skin to lift wrinkles known as smile lines and can also correct acne scarring, and loss of volume in the face. The PMMA microspheres create a matrix that supports your body’s own collagen production. Bellafill is the longest lasting injectable filler currently on the market, with FDA approval for 5 years in the US (10 in Europe), though essentially this filler is partially permanent, as the PMMA microspheres are non-absorbable. Each injectable is unique and suited for a specific purpose, which is why it’s imperative that you have a consultation with the injector before the appointment to discuss your end goals. At Rock Creek Wellness, we want our clients to feel beautiful from the inside out. Entrusting us with your care is a great honor, and we love being able to help you be the best version of yourself. Call today for a consultation, or better yet come by our next event and enjoy the knowledge and experience of our team of injectors!